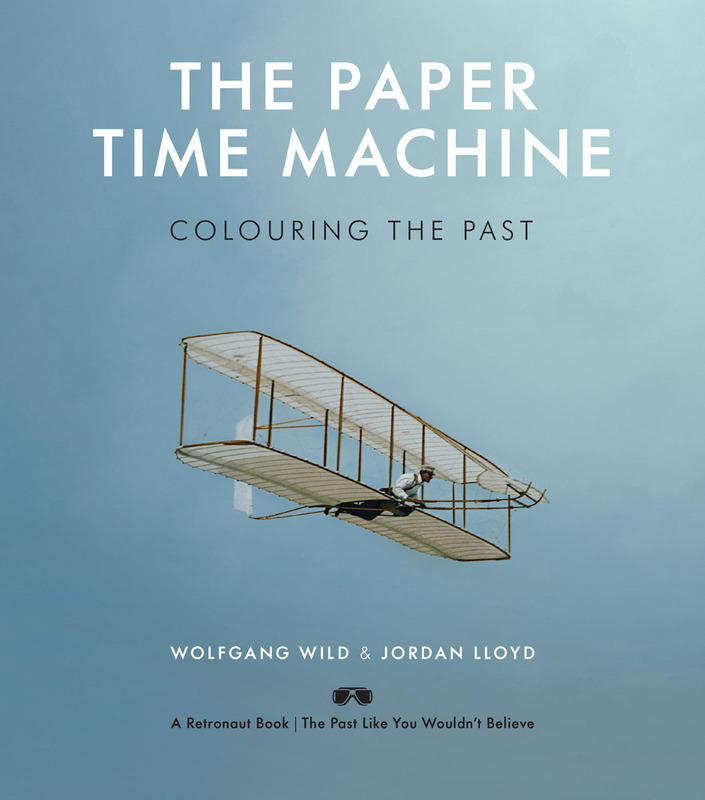 The Paper Time Machine is a book that will change the way you think about the past.It contains 130 historical black-and-white photographs, reconstructed in colour and introduced by Wolfgang Wild – creator and curator of the Retronaut website. The site has become a global phenomenon, collecting images that collapse the distance between the past and present and tear a hole in our map of time.The Paper Time Machine goes even further. Early photographic technology lacked a crucial ingredient – colour. As early as the invention of the medium, skilled artisans applied colour to photographs by hand, attempting to convey the vibrancy and immediacy of life in vivid detail. In most cases this was crude and unconvincing. Until now. The time-bending images in The Paper Time Machine have been painstakingly restored and rendered in full and accurate colour by Jordan Lloyd of Dynamichrome, a company that has taken the craft of colour reconstruction to a new level. Each element of every photograph has been researched and colour-checked for historical authenticity. Behold American child labourers from the early twentieth century, alongside the construction of the Statue of Liberty. Marvel at crisp photographs from the Crimean War in 1855, balanced with never-before-seen pictures from the Walt Disney archive. As the layers of colour build up, the effect is disorientingly real and the decades and centuries fall away. It is as though we are standing at the original photographer’s elbow.This is a landmark photographic book – a collection of historical ‘remixes’ that exist alongside the original photographs but draw out qualities, textures and details that have hitherto remained hidden. Let The Paper Time Machine transport you. It is as close to time travel as we are ever likely to get. Фотосъемка для свадебного салона "Ассоль"